That’s a question that we recently received in our inbox. Students are constantly searching for new writing services, mainly because of the first-time discounts. This is definitely a legit question, since you want to be sure you’re ordering papers from a reliable service. That’s why we decided to test the agency and contribute with our SameDayEssay review. The initial impression was positive. The website looks nice and it’s pretty detailed regarding information. The pop-ups were a bit nerve-wracking, but there were useful writing guides that we appreciated. What about the actual quality? Don’t worry; we’ll get there. The list of services is great. Almost all types of content a student could possibly need are available in the order form. But there’s a problem: rewriting, which is part of the services offered. Let’s talk about rewriting. It’s not professional academic writing. The writer just tweaks online sources of content into a piece that’s not unique, but will pass through plagiarism detection engines. They do not provide proper references to those sources. This is not what your professor is looking for. So the solution would be to avoid rewriting, right? Well it’s not that simple. If these writers are used to rewriting, then how do you know you’re getting absolutely unique content when ordering academic writing? You can’t know, since the plagiarism search engine won’t detect it. But your professor might know. They are pretty much aware of all important ideas and publications in their area of study. If they recognize something they’ve already read and you don’t provide a reference, you’ll be in trouble. The prices are pretty reasonable. The best part about this system is that it involves a great choice of deadlines, ranging from 20 days up to 3 hours. Various quality levels are available, too: high school, college, undergraduate, Master, and PhD. The quotes start at $11.87 and go up to $44.95 per page. That’s not too cheap, so it’s not suspicious, but it’s also not too expensive. As for the Same Day Essay discount, you’ll be happy to know that you get 15% off your first order if you apply a discount code. The loyalty program is based on bonuses. You get a bonus for each order, and you can use it for your next project. 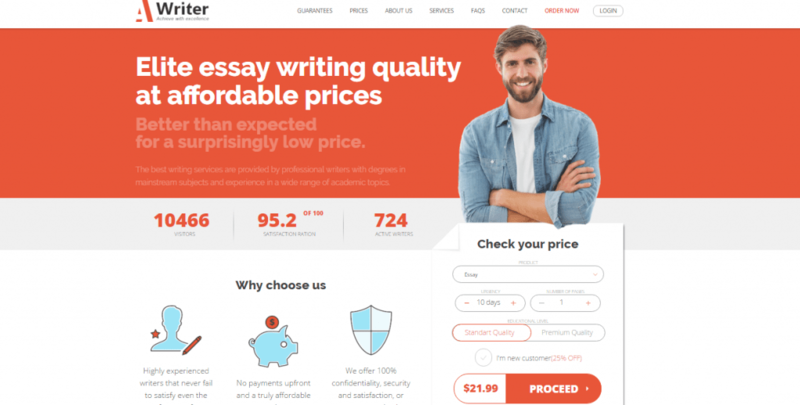 Now we get to the main point: does SameDayEssay deliver good content? We ordered an essay for history course. It was a pretty simple theme: the abolition of slavery. But the writer took the theme too literally and didn’t narrow it down to get a proper essay topic. The topic was The Abolition of Slavery and it just didn’t work. The essay was too general and didn’t include a specific thesis statement. Unfortunately, our request for revisions was not accepted. The customer support agents said that the topic must be specified in the order form. We’ve never done that with other services, so we assumed that these writers would also narrow down the general theme into a more specific title. We were wrong. This is not a bad service. It may be pretty decent for students looking for simple papers. However, we recommend you to be careful during the ordering process. You have to be very specific with the instructions, since the writers take them literally and are not flexible enough to infuse creativity in the process.